Download the Pets in the Classroom Flyer to share in your community, pet stores and schools. Download this informational flyer to share with potential donors or sponsors. For a full color poster that may be customized with your store logo and used in your store to promote our program, please send a request to lisa@nullkingmgmt.org. An article published by EdSource Magazine discusses how classroom pets impact students by teaching social and emotional skills, such as self-awareness, self-management, responsibility and relationship building. The article, “With increased focus on students’ social and emotional skills, teachers turn to class pets to help lead the way,” showcases classroom activities around classroom pets and the impact they have on the students. A recent article published by TIME Magazine discusses how scientific studies are showing the value of animals for improving health and well-being. The article, “Science Says Your Pet Is Good for Your Mental Health,” reviews some of the studies and the various effects different animals had on people. From rabbits helping reduce anxiety, to fish helping with focus, to guinea pigs helping with socializing, the article provides great insight into the impact animals can have in the classroom. Phase I of “Pets in the Classroom” study by American Humane Association and Pet Care Trust surveys nearly 1,200 North American teachers, reveals that teachers see classroom pets having real educational, leadership and character-building value. 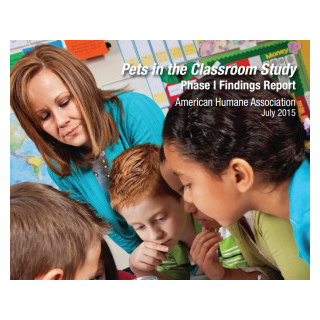 Read the full Pets in the Classroom – AHA Study – Phase I Report. Calling all creative kids! Every year, American Pet Products Association (APPA) accepts poems for its annual Pets Add Life Children’s Poetry Contest. Students in grades 3rd-8th are invited to write a unique poem about their pets, what they love about them, the joys they bring, and then post it online or mail their final poem and submission form to: Pets Add Life, 661 Sierra Rose Dr., Reno, NV 89511. 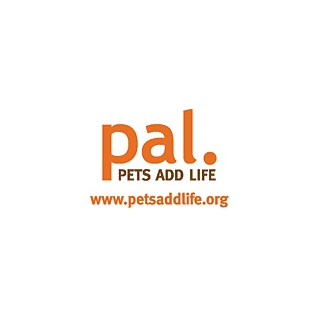 For more information and contest dates, visit www.PetsAddLife.org. GATOR GATOR SECOND GRADER, CLASSROOM PET …OR NOT? 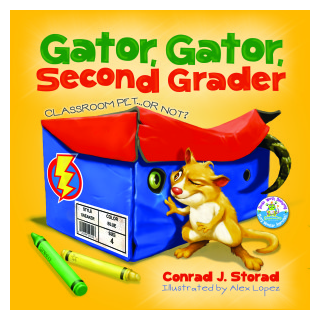 This science-based children’s book, Gator, Gator, Second Grader (Classroom Pet…Or Not?) by award-winning author Conrad J. Storad and vibrantly illustrated by Alex Lopez, provides students and teachers with a clever educational resource designed to introduce animals into a learning environment. Published by Little Five Star, a division of Five Star Publications, Inc., Gator, Gator, Second Grader provides parents and educators with a trusted resource to help students learn more about nature. Book details and ordering can be found here. 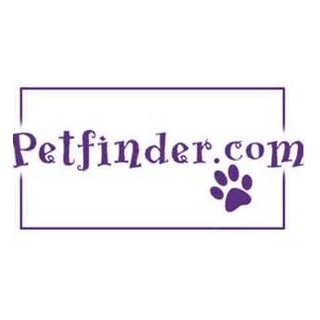 www.petfinder.com was created with the goal of finding a home for all adoptable pets and this certainly includes small furry, feathered and scaly ones. Before you adopt, check out their site:www.petfinder.com/before-pet-adoption for information on what kind of pet, size, etc. that will be the right fit for you and your students. 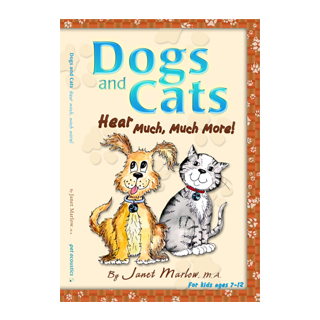 Dogs and Cats Hear Much, Much More! by Janet Marlow, M.A. is a wonderful resource that will help your students understand how animals relate to the world through their acute sense of hearing. Hearing is an important sense that affects pet behavior. This informative book will help students learn how the science of sound affects their own environment, as well as their pet’s living space. Better understanding of animals enhances empathy, responsibility and care for another being; therefore opening the hearts of children in the most natural way. Recommended for children ages 7-12. 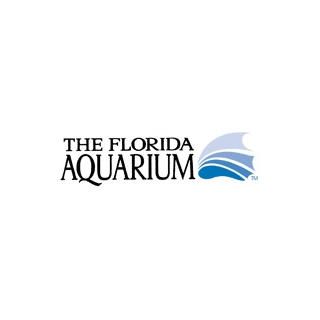 Florida Aquarium The Florida Aquarium has created FIC-Complete-Curriculum developed for the Fish in the Classroom Outreach Program, based on Sunshine State Standards and the requirements of classroom aquarium care. Lesson topics include setting up an aquarium, water testing, fish observations, and experiments. The Fish in the Classroom lessons focus on: Increasing student knowledge of water chemistry, fish biology, and aquarium care; Preparing students to care for live animals in an aquarium; and skills such as reading, recording observations, graphing, building models, and critical thinking. 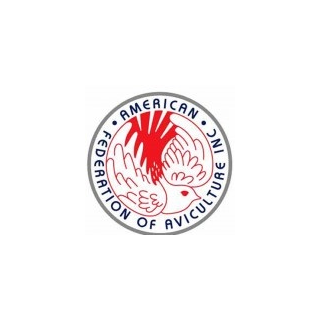 The American Federation of Aviculture, a nonprofit national organization that promotes the advancement of Aviculture through educational programs, has implemented courses to train aviculturists called “Fundamentals of Aviculture”. The introductory course provides information on anatomy and physiology, avian behavior, proper housing, preventing illness of birds in our care, and much more. Development for the Intermediate Aviculture Course, Fundamentals of Aviculture Level II, was made possible by a grant from Pet Care Trust, the foundation that created Pets in the Classroom. 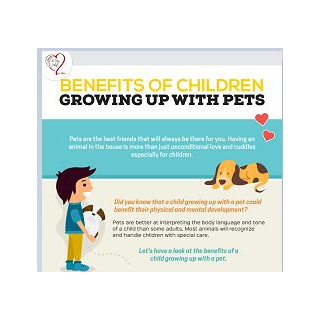 Forever In My Heart shared this great chart on the Benefits of Children Growing Up with Pets in the Classroom. To see the full info-graphic click here. There are alternatives to purchasing pets for your classroom. “Adoption” agencies are excellent places for finding that perfect classroom pet.